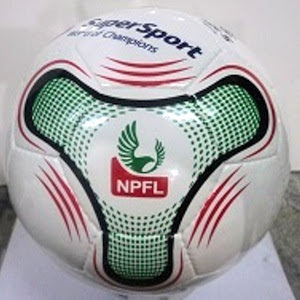 The opening game of the Nigeria Professional Football League (NPFL) between Kano Pillars and FC Ifeanyiubah at the Sani Abacha Stadium in Kano on Saturday did not finish. Kano Pillars were leading by a goal through Gambo Mohammed's first half strike before players of FC Ifeanyiubah refused to continue the game owing to a refereeing decision by Foluso Ajayi. Six former Enyimba players, Chinedu Udoji, Abdulrasak Aliyu, Kamal Sikiru, Emmanuel Anyanwu, Bala Zakka and Idris Aloma were named by Kano Pillars head coach Kadiri Ikhana in his team's startlist. Ghana trainer, Yaw Preko, named former Kano Pillars man Prince Aggreh in his side with Super Eagles goalkeeper Ikechukwu Ezenwa handed the armband after it was initial announced during the week that Olamilekan Aniyikaye would be FC Ifeanyiubah's captain for the season. Brazilian midfielder, Alberico da Silva and power-playing striker Ifeanyi Onuigbo could only get places on the FC Ifeanyiubah bench. It was FC Ifeanyiubah that began the match sharper with Ngoma Luamba, Tamen Medrano, King Osanga and Aggreh combining well in the middle. The dispute began just before the break when the match referee Ajayi signalled for an FC Ifeanyiubah free kick close to Pillars' goal. Just as Aggreh took the free kick to put FC Ifeanyiubah level at 1-1, Ajayi blew for half time with the away team protesting that she should have allowed their goal to stand since she deemed it fit to allow the free kick to be taken. However, FC Ifeanyiubah players did not return to pitch for the second half in time and that delayed the game from getting back underway. When the game finally got back underway, Ajayi then sent off an official of FC Ifeanyiubah from the technical area for dissent over his protest for a booking to Valentine Nwabili. FC Ifeanyiubah players then refused to continue with the game with the hour mark approaching leaving Ajayi with the option of calling off the game.